Formulated as a suspo-emulsion (SE), Cimetrol Super was specifically designed for the effective control of bed-bugs and fleas although it carries a broad-spectrum label. A sticky floor trap – ideal for monitoring levels of cockroach infestation. It also features ad food attractant sachet to encourage cockroaches to enter the trap. Cytrol 250EC is a cost effective EC formulation general purpose insecticide that contains the excellent insecticidal activity of cypermethrin. Fastkill is a micro emulsion concentrate formulation with nano emulsion technology for a powerful residual action for ultra long lasting control against a wide range of insects. Perfect 50EC is a concentrated formulation of permethrin for long lasting and economical control of mosquitoes, flies and cockroaches. 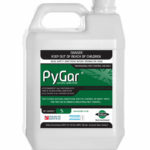 Designed for the professional pest control industry, PyGar is a fast acting non residual natural insecticide for the control of a wide range of insects in and around urban and industrial sites. Terminator is designed for long residual activity and is especially suitable for use in quality homes, schools, and office and food preparation premises where safety, lack of smell and efficacy are required.